Triemli Hospital has one of the best equipped maternity clinics in the city of Zürich. Over the past month or so, my wife and I had plenty of visits to the hospital at the foot of the Üetliberg hill. It is when we took our short hikes that I came across a narrow street named after a lady who happens to be Switzerland's first female doctor. In 1991 in a first of its kind request, the Swiss National Science Foundation (SNSF) called for proposals to specifically promote women in scientific research. Prompted by their high number of female drop-outs from the departments of biology and medicine, professors Heidi Diggelmann and Joachim Seeling decided a funding scheme was in dire need. Thus, the Marie-Heim-Vögtlin Programme (MHV) was born. Its goal is to encourage and enforce positive actions to prevent drop-outs. At the time of inception, the mathematics, natural and egineering sciences divisions joined hands. In the 24 years since, the programme has provided a lot of enthusiastic and scientifically oriented women an opportunity to continue to achieve goals in research and scientific careers. It all started circa 1867 when Marie Vögtlin had to deal with her fiancé, Friedrich Erismann, walking out on their engagement. At that time, he was a student of medicine and he chose to marry Nadezhda Suslova instead, who went on to become Europe's first female physician. At the time, the University of Zürich was one of the few universities that allowed women to study medicine in Europe, and it is there that Friedrich Erismann met Nadezhda. Affected by this, Marie was determined to study medicine. Her father was a pastor in Bözen in the canton of Aargau. He initially was reluctant about his daughter's wish to pursue medicine and become a doctor. It came as a bizarre choice for a career, causing ripples in their relationship. Marie's choice became a topic of storm among the locals and soon among people all over Switzerland. 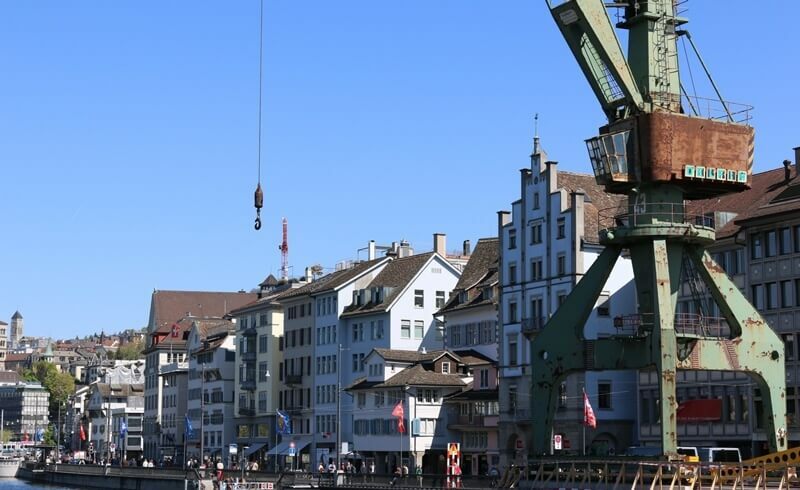 While most Swiss expressed their indignation towards foreign female students studying in Zürich, they never expected one of their own to take such a path. Marie persisted, and her father yielded and showed his open-mindedness. With great difficulty and reluctance, the authorities finally gave Marie the permit to pursue medicine. Being the first Swiss woman to join a medical programme, the University of Zürich had to change its medical faculty policy to allow Swiss women. In spite of the public's opinion, the faculty encouraged Marie and gave her all the support she needed. After successfully passing with honors, Marie left Zürich to study gynaecology in Leipzig, Germany. Soon after, she started work at the Dresden maternity ward. It was a journey of six years, met with adversities along the way. It culminated in 1874 when Marie was awarded a doctorate in Zürich for her topic on the "State of the Female Genitalia in Labour." If this was not enough, her father had to log heads with the Zürich authorities once again to let her practice medicine there. They did, which meant one more small victory for the Vögtlins. With time, Marie's work was noticed and she was specifically praised for her treatment of poor women. Switzerland in 1870's was nowhere close to being as perfect as it seems today. There were basic struggles like in any other country, and views were very orthodox. Albert Heim was a noted geologist. Only when he agreed to give Marie permission for work post marriage (as per laws at the time), she decided to also don the role of a wife and soon as a mother. However, she was not satisfied by just being a doctor. Marie went on to establish Switzerland's first gynaecological hospital in 1901 (Schweizerische Pflegerinnenschule) along with her colleague Anna Heer. This facility also featured a maternity ward and a nurses' school. In 1998, this historic clinic has been closed and was merged with the Neumünster hospital in Zollikerberg. The life of Marie-Heim Vögtlin was an inspiration for many women in Switzerland. Until her death in 1916, she was actively campaigning for women's suffrage and other social movements, and also found time to publish several works for women and children. In 1995, the city of Zürich named a street in Marie's honour in the Wiedikon district: Marie-Heim-Vögtlin-Weg. This street starts at Schweighofstrasse 334, leading up a few hundred meters and ending at Hohensteinweg/Triemlihalde. On this stretch, you will find Triemli Hospital, which today employs many women nurses, doctors and mid-wives. One can say, if not for Marie, eventually there might have been someone else pioneering women's causes for working in medicine - and beyond. Progress is not achieved if everyone subscribes to the kind of views which prevailed for most of the 1800's and 1900's. Today, an increasing number of women in Switzerland work in the fields of research and medicine. They can be thankful for the fact that Marie-Heim Vögtlin chose to pursue medicine instead of leading her life by the norms.